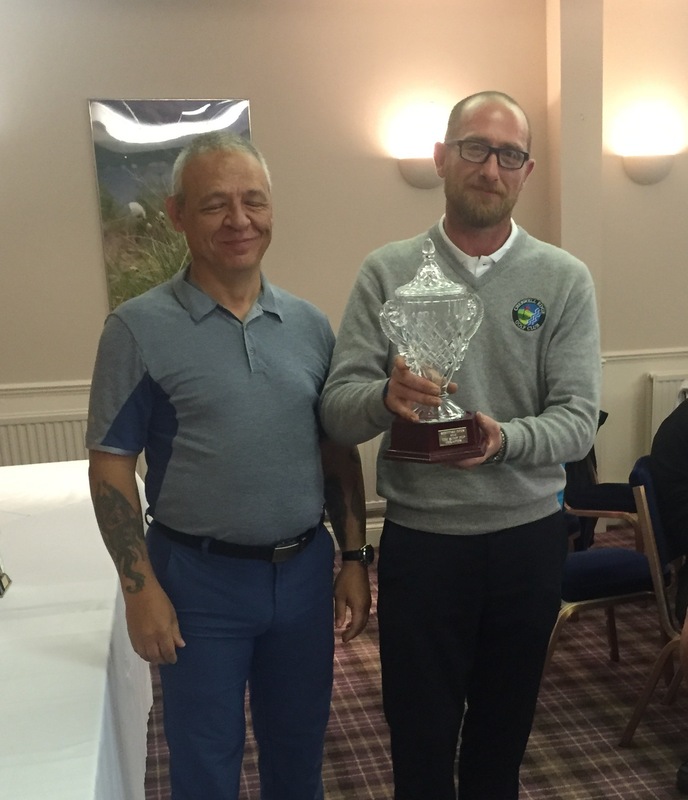 England’s Andy Gardiner is the Scottish Disability Open Golf Champion for 2016 after soaking up the pressure on the challenging Montgomerie course at Kinross Golf Club and responding with back-to-back birdies to pull away from his worthy challengers. 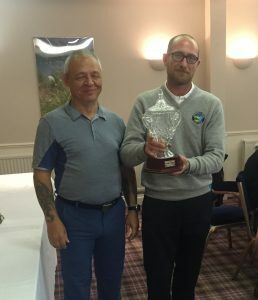 Andy’s ‘Gross’ Strokeplay win was completed on Thursday when he finished with a very solid 82, including birdies on the 11th and 12th holes to move up a gear at the crucial time. This round was founded on great drives along the tree-lined fairways, accurate iron play and holing putts when they were needed most for a three-round total of 252 (81, 89, 82). His closest competitors for this approved European Disabled Golf Association (EDGA) Access competition were another Englishman, Mick Horsley, and Scotland’s Paul Ellison, who was well supported by the home fans. Horsley’s closing 85 (84, 90, 85) gave him the same 259 total as the consistent Ellison 87, 85, 87 but he would win second place to the Scot’s third on the card play-off. It was Gardiner’s first EDGA event of the year and it will boost his position in the Ranking for Golfers with Disability supported by PING, which is open to all golfers with an EDGA pass or an R4GD pass. James Hourigan of Ireland, who started the day just one behind Gardiner, had to settle for a final round 90 but should be pleased with his efforts, finishing in a tie for 4th with Nett winner Dave Standing and earning third place himself in the Nett category. It was a good few days for The Netherlands; Tineke Loogman, the leading female player, finished in 6th place after rounds of 96, 89, 96, and two places further back was Hans Vanelven after rounds of 99, 88 and 92. Englishman Darren Grey’s final day 85 moved him up the leaderboard into 7th place with the bonus of being second in the Nett standings, with a final Nett 73. Competitors from Great Britain, Netherlands, France, USA, Germany and Italy teed-off together on The Montgomery course (par 72, 6,508 yards) and the The Bruce (par 73, 6,231 yards). The parkland courses, close to the beautiful Loch Leven, created a great venue for staging this event. Winner of the Nett category was Dave Standing and it was well deserved, as he adapted to the Montgomerie course better than anyone, with improving Nett scores of 80, 77 and 74. Mike Jones of Wales scored an excellent 41 on the adjacent Bruce course to wrestle the Stableford prize away from three Scots – Trevor Crombie, Robert Inness and Jim Thompson, who flew the flag well for the home country. Places 5th to 8th also deserve a mention, as England’s Ian Halliwell and Roger Hurcombe, Italy’s Gregorio Guglielminetti and Germany’s Anka Gahler all fought well to bring the best out of the Welshman. Look out on www.sdgp.org.uk and www.edgagolf.com.